Think twice before buying Android powered tablet now ! Google has clearly stated that its latest Android version 2.2 aka Froyo is not designed to work with tablets. Form factor of tablets are not the same as smart phones, thus not a good choice. It is expected that android future releases wiz. Gingerbread and Honeycomb would be more suited. However Google’s Chrome OS [which is due to arrive soon, maybe this fall] is the one that is made for tablet’s. Statement from Google also hint that they may block Android Market where users can download applications for tablets powered by Android 2.2. 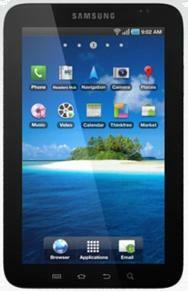 1 Comment on Think twice before buying Android powered tablet now ! to know if it fits your requirements or you are better of buying an iPhone.